The Bienville Parish School Board and Bienville Family Clinic are excited to announce the expansion of health services for the students of Bienville Parish. Through a cooperative agreement between the School Board and the Bienville Family Clinic, each school campus now has its own School-Based Health Center staffed by a Registered Nurse. While the School Nurses will continue to provide all student services they previously have, they will also be able to now provide additional services via a Telehealth delivery model. 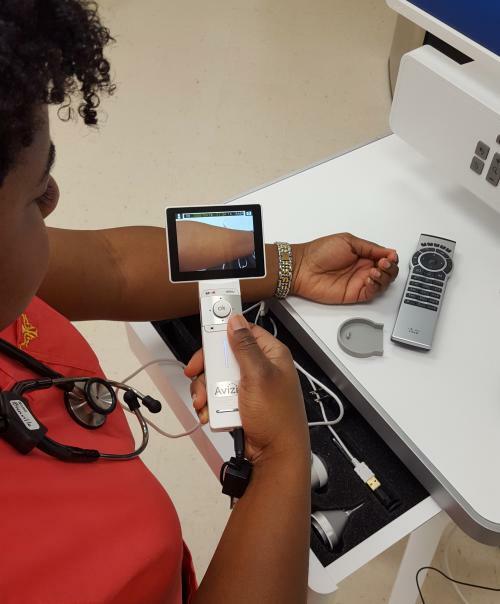 Parents choosing to enroll their children in this program can now have them “seen” by a medical provider housed at Bienville Family Clinic while the student remains on campus, thanks to the cutting edge Telehealth equipment in each School-Based Health Center. Dr. Melinda Willis, Pediatrician, her Physician Assistant, Cedric Willis, PA-C, and William Johnson, APRN, FNP-C will be able to examine children located on the school campus using the advanced audio and video technology. The School Nurse will be the “hands” of the medical providers in Arcadia during these Telehealth visits, and parents are always welcome to attend all medical appointments, either in person or by telephone. Exciting benefits of this program include the fact that parents will never be billed for these services, and families do not have to change their current physician to participate. If Dr. Willis is not the child’s primary care provider, all information from the Telehealth visit will be forwarded to the child’s regular doctor. The School-Based Health Centers will be able to provide treatment for minor illnesses and injuries, as well as services for the management of chronic conditions such as Asthma and Diabetes—all without students having to leave their school campuses. The School Board and Bienville Family Clinic are hopeful that this program will decrease students’ time out of school; students will not have to leave school to see a medical provider, and immediate attention to illnesses and injuries should reduce the duration and intensity of medical problems. Interested parents must sign consent forms to opt their children into these expanded medical services. Click here to go to the forms. Parents should return them to their child’s school when completed and signed. or your child’s school principal or school nurse. Click here for information about the Dangers of HPV to Adolescents.